Mount Wachusett Community College (with a campus at MREC) is looking for instructors to teach non-credit courses this summer. Instructors needed in the following areas: Cake Decorating; Landscaping; Quilting/Sewing/Crochet/Knitting; Basic Automotive; Maintenance; Gardening; Videography; Interior Decorating; Fashion Design. We are also accepting proposals for non-credit ideas. Share your expertise. Proposal should contain brief description, total number of course hours, and material requirements. negotiable 25.00-$ 50.00 hourly. Most MWCC non-credit courses come from instructor proposals. If you would like to submit a proposal along with your resume and cover letter, please download the proposal form at http://www.mwcc.edu/PDFs/NonCreditProposal.pdf. If you are unable to scan the completed form, you may submit the proposal information in a regular document. You will need to upload the completed form under “other”. If you do not wish to submit a proposal, please make sure you indicate in your cover letter which topics you are qualified to teach. This particular job posting is an “Open Pool” position. There may or may not be available openings at this time however, when an opening does occur, the hiring manager will draw from the pool of applicants we have on file on an as needed basis. At our regular meeting here at the Center, Luanne Johnson, wildlife biologist and Director of BiodiversityWorks, a Martha’s Vineyard non-profit, will talk about her research of the Coastal Striped Skunk. A tree’s leaves, twigs, and buds are often hard to see or seasonally absent. Join author Michael Wojtech for a visual and hands-on exploration of bark, a year-long trait. Learn how to distinguish species by their bark and why bark is so varied. Wojtech’s book, Bark: A Field Guide to Trees of the Northeast, will be available for purchase. For ages 12 and over and naturalists of all levels of experience. Info:www.knowyourtrees.com . Co-sponsored by ABNC and Northfield Mountain Recreation Center at Liberty Hall in the Athol Town Hall, 584 Main St.
A tree’s leaves, twigs, and buds are often hard to see or seasonally absent. Join author Michael Wojtech outdoors on the trails of Northfield Mountain Recreation Center (99 Millers Falls Rd., Northfield) for an exploration of bark, a year-long trait. Learn how to distinguish species by their bark and why bark is so varied. Wojtech’s book, Bark: A Field Guide to Trees of the Northeast, will be available for purchase. 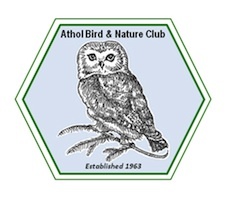 For ages 12 and older and naturalists at all levels of experience. Info: www.knowyourtrees.com . Fee: $10; free for ABNC members. Pre-registration required: 800-859-2960. Co-sponsored by ABNC and Northfield Mountain. In celebration of Warwick’s 250th Anniversary, the Warwick Conservation Commission will sponsor hikes on the second Saturday of each month in 2013. Our first hike is this Saturday, January 12, to the Devil’s Washbowl at the Arthur Iverson Conservation Area. Please join us at the trailhead on Gale Road at 9:30 am. accompanied by a responsible adult. During the year, we hope to go to many of our favorite places in town. We would like to hear from you about your favorite places. Please let any member of the commission know if there is a place that you would like to hike to as part of this celebration. Or you can email Karro at karrofrost@gmail.com. Sunday, January 20, 2013 1 – 3 p.m. In cooperation with the Athol Council on Aging, Mount Grace Land Conservation Trust is sponsoring a free screening of Hank Cramer’s 40-minute film Wild Things of North Quabbin at the Athol Town Hall (584 Main Street, Athol) on Saturday January 26th from 7-8:30pm. Shot in the New Salem woods, the film offers us glimpses into the secret lives of locally common birds and mammals. “The wild things in the film encourage us to conserve the local landscape they need for a home and can remind us that people need the land, too, for air to breathe, water to drink, wood for our homes, and, as importantly, for inspiration,” says Leigh Youngblood, Mount Grace Executive Director. Youngblood will be speaking at the event, which will also include a chance to meet some of the animals currently staying with local wildlife rehabilitator Medicine Mammals. Hank’s love of nature, perseverance, and sense of curiosity give us a glimpse across four seasons in our local landscape. The movie, edited and assembled from five years of footage, features more than 25 species, including rarely seen behaviors of beavers, bears, bobcats, turkeys, fish, coyotes and herons. The event is free and is designed to introduce people to the wildlife of the region and the importance of land conservation in our communities. For more information about Mount Grace or to reserve seats, visit http://www.mountgrace.org. Learn how to snowshoe with other active women. We’ll begin indoors with a brief session on equipment, design and history and then venture outside. We’ll explore some of our favorite trails as well as the natural history of this special season. Add a new activity, and perhaps some new friends, to your winter repertoire. Tips on equipment and clothing, invigorating exercise and sharing hot chocolate and tea around our wood stove will complete the afternoon. Please note that we will be snowshoeing for 2 miles over moderately hilly terrain (elevation gain of 400’) and no prior snowshoeing experience is necessary. All levels of experience are welcome. Anyone set a fitness goal while making resolutions? Snowshoeing is fabulous exercise and exploring the winter night in the company of others is so intriguing that it makes meeting exercise goals fun! Participants will explore how to best navigate at night, share inspiring quotes from literary lovers of the moon and stars, and take a short “solo” walk by moonlight. A warm cup of cocoa or tea and snacks will be the perfect ending to this two-mile hike. No previous snowshoeing experience is necessary. Wear wind pants or gaiters if you have them, dress in warm layers that can be shed as we get moving, and bring a water bottle to take on the trail. Enjoy a morning of camaraderie and exercise outdoors with other active seniors. Lightweight aluminum snowshoes are the perfect tools for gaining grip on snowy or icy terrain and using ski poles gives extra contact points to further increase stability in a variety of winter conditions. After an indoor introduction to equipment, participants will practice techniques on flat terrain and gentle hills. Wear wind pants or gaiters if you have them and dress in warm layers that can be shed as we get moving. No prior experience is necessary.